In The Central West we have a great climate for at least six months of the year. So in autumn and spring we don’t need to be too concerned with temperature extremes. On the other hand, our summers can get very warm and our winters rather cold. Experience has shown the experts at the Glassplace that Low E grey tinted glass performs well in both summer and winter. Low E grey glass cuts down the U value of a window or door. This is the amount of heat moving through the glass due to the difference in temperature: from the inside to the outside of your home, or office. Low E glass can therefore reduce your heating bill and your cooling costs. Low E grey glass also reduces the total solar radiation coming through the glass. This is the Solar Heat Gain Co-efficient or SHGC. It also reduces glare to make your home more comfortable in summer. The lower the numbers, the more benefit you will get from Low E glass. If you still feel a bit confused about this glass, but want to know more, why not drop into the new Glassplace showroom in Clarke Street, Parkes. They will show you examples of Low E Glass in full sized windows so you can see what it looks like. heat display to actually feel the difference Low E glass can make in your home. I have been very busy over the last few months staging a variety of homes for sale. Staging a home is very important and can add value to your property and thus give you more money in your pocket after sale day. Staging works perfectly when a home is empty and unfurnished. It gives me a blank canvas to enter and create magic within that will have any prospective buyer simply falling in love with your home and thus wanting it to be their home. An empty home is devoid of personality and the WOW factor and will not let that property to stand out from the crowd and create, no matter how good its bones are. It would not make a lasting impression on a prospective buyer. With staging people hire my services and furniture for a specific period of time, usu- ally six weeks to entice a quick and profit- able sale from the marketplace. It is simple and stress-free but the results absolutely speak for themselves. Pictured right, are my favourite before and after images from a home staged last week in Dubbo. The clients and the real estate agent were so happy that I think a speedy sale could be just around the cor- ner. One home I staged last year in Orange didn’t even get to show its charm as it was snavelled up the first day it was listed for sale. It just looked that good! I had the opportunity during the Elvis Festival to style a major event for the Parkes Shire Council. We held a reception for the major spon- sors of the festival and gave them an opportunity to get together and mingle. Fluffing an event is very similar to how you would style and decorate a home. You want to create an atmosphere that sets the stage for the rest of the evening. And my philosophy for styling an event is the same as in homes. I like major wow pieces to command a space , look sensational but not crowd the surfaces to allow for people to move freely around the event. You can see in the photo, with the enormous candelabras we created a really dramatic statement that was perfectly matched to the Vegas feel of the event. The second key element was adding a roll of red carpet and bollards to the side entrance to the Royal Hotel. Instantly it set this area apart and deemed it of special significance just by its exclusive appearance. In a home the same rules apply. Creating a bold statement in your hallway with a large artwork will enhance and denote the home as an interesting place to visit. Always use over scale items that fill a wall rather than small artworks that can actually shrink the space. Remember that whatever the size of your frame of the artwork on a wall is your eye naturally thinks that could be the size of the wall as well. So big in artwork is always better!! I was also lucky enough to compere a fashion parade at Viva Splash Vegas. It was the first of its kind for the festival and proved very popular. It was also very special to me as my daughter Ali was the main co-ordinator. I donned my volunteer clothes on Sunday afternoon and had a ball describing the outfits each entrant wore. Stay cool and I will be back to fluffing full-time in February. A new year is a good time to remove clutter, and enjoy a tidy home. Here are some useful ways to get started. Get three big boxes. Label each box: Keep, Sell and Charity. Set a time limit for the session. Set a timer and when it rings, make yourself stop, clean up, and take a break so you don’t burn out. Make three piles on the floor, to match each of the marked boxes. Later, you probably will change some of the items, or move them to another box. Tackle one room at a time. In each room make three piles on the floor, matching the boxes. Find a place for everything. Keep the things you need in a place where you will find it easily. Make sure everyone in the family is aware to return things after they use them. Clean and vacuum the room. Look around and enjoy the neat and tidy area. Scrub off grime from surfaces, remove cob- webs and repaint if necessary. Sort through the keep box, aiming to put more into the charity or sale boxes. The rule of thumb is if you have not used an item in a year or more, it goes! Take the box for charity to your car. If it is too much, call a charity of your choice and ask them to pick it up. Sort through and price items for your garage sale. Try to arrange the garage sale as soon as possible, so you will not be tempted to re- turn the items to your house. Look around! No clutter, no mess, just a nice clean and nice looking house. Keep it that way on a daily basis. Keep your living area and bedrooms clutter free by minimizing décor. This will not only look larger but cleaner. Having less décor means less to clean and dust. Stop shopping! This is a tough one, but learning to not replace items that you have gotten rid of is an important one to follow. Also it is really important to shop well. It is easier to remember the items you spent more money on, and to treasure them above the cheaper things. Set limits on things. Having eight cereals to choose from is not being realistic. Enjoy twotothreeitems,thenoncefinished,buy others. This will teach children to respect what they have and it will encourage a less-cluttered mindset. Get used to having less. Once you de- clutter your environment, enjoy the space and the look of having less. Take up a hobby and distract yourself from items you probably do not need. Now that I have finally got my head around the fact that it has been a year since last Christmas and that it is actually going to happen again this Sunday I have been filled with Christmas cheer and am excited for the festivities. I love that families get the chance to come together at Christmas and enjoy some special time with truly amazing food. As I sit here and write this column I am already drooling at the thought of my glazed Christmas ham that will hit the table at lunchtime within our home. For me though Christmas is a great time to be grateful and sit back and reflect on the past year. Christmas styling needs to inject a real wow factor into our homes and set this time of year apart as something really special. The setting creates the atmosphere and it can be easily done regardless of your budget. I love injecting nature into my styling and the bigger the branches the better. We have a great range in-store now of LED trees that feature beautiful snow covered branches that look simply amazing whether they are adorned or not. Here at Parkes Furniture One we have Christmas presents for everyone in the family and we still have time to deliver to Condobolin if you get excited and can’t fit your purchases in your own car. And remember to take time to just sit and relax this holiday season. Put your feet up and enjoy a rest. See you all in 2017. What are your Christmas traditions? You can keep on creating new traditions every festive period for wonderful memories for the years ahead. Baking and fun food traditions: Have a cookie day and invite nan and your kids’ friends to help decorate them, or make a gingerbread house or even a whole village. A chocolate fondue with lots of different fruits is sure to be a winner. 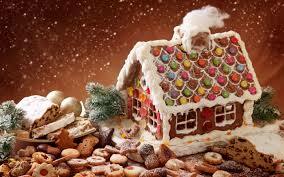 Choose somewhere to go to surprise people with Christmas cookies or chocolates, like a hospital or nursing home. love and what they’ve learned and keep it for them when they turn 18. Donate some of your kids’ toys to charity, or let the kids buy presents to put under charity trees. La Bella Medispa celebrated another successful year with their clients at the business’ annual Christmas party last week. This year the party was held at the newly opened Hart Bar at the Railway Hotel. The La Bella team at the party were at the back Jess Galvin, Jaymie Wheeldon, Laura Jelbart, Jasmyne Perceval, Rebecca Miller, Carla Poole and Marty Dswonitzky. In front are Codie Sense, Hannah Tanswell and Chloe Ingram. If you haven’t already, be sure to get to Hart Bar this weekend to check out this beautiful new venue in Parkes! With enough space to cater for almost any event, you need to make sure your next event is at Hart Bar! It is available Monday to Friday for corporate events, and Wednesday and Thursday nights are available for dinner – making the perfect excuse for a mid week catch up! With the busy time of year picking up, weekends are now booked until Christmas, but if you have something in mind for the new year make sure you book in as soon as possible as the calendar will fill up quickly! This weekend the bar will be open for lunch and dinner Friday, Saturday and Sunday with Jac Clark’s art on display to celebrate the official opening. The Railway lunch and dinner menu will be on offer along with the new share plate menu exclusive to Hart Bar in the evenings. Booking are essential so make sure you get in quick. The new exhibition by Jac Clark titled Figure is exploring the boldness of a monochrome palette and its place in portraiture. The original large scale artworks will be available for purchase along with limited edition prints of each piece. As we grow older and our lives get busier I keep going back to this simple belief of mine. It is the little things in life that are important to our well being. As our routines and commitments get more hectic it is the time we spend in our own homes that becomes precious. Our homes can feed our souls and enrich our lives. It can be a sanctuary from the pressures of the outside world. So how do we create these havens of bliss where we can relax and make everlasting memories with our family and friends? We want a home that looks sensational and has the WOW factor, but is easy to maintain and an absolute joy to live in. Follow these guidelines and tips. home can be free from mess. • Remember the age-old adage that less is always more. This is my mantra that I follow to the letter. I always have one big WOW piece on a piece of furniture and the rest of the surface is empty. This minimalistic approach is very easy to achieve and makes cleaning and dusting a breeze as there is not a plethora of objects to move. pieces a breeze because you have not limited yourself by bold paint or curtaining choices. • Cushions can perform magic tricks. The addition of cushions can literally change the feel and style of a room. They can bring cohesion to an overall design of a space and add colour, texture and intimacy to a space. • Rugs define zones and create different areas effortlessly within today’s open plan living areas. A plush rug will also add warmth, texture and cosiness to any room. choices we make should enhance the way we choose to live rather than be a hindrance. When I enter my home, I feel such a sense of contentment and excitement that I am lucky enough to live within this space with my family. I make sure that I take time to really enjoy all the different spaces and areas within my home and to allow myself time to just be in the moment. My home energizes me and sends me out into the world again with renewed vigour. Wouldn’t it be great if you too could experience this every day? Visit the business at 3 Royal Street in Parkes or contact Bruce on 6862 5453 for a free measure and quote today!